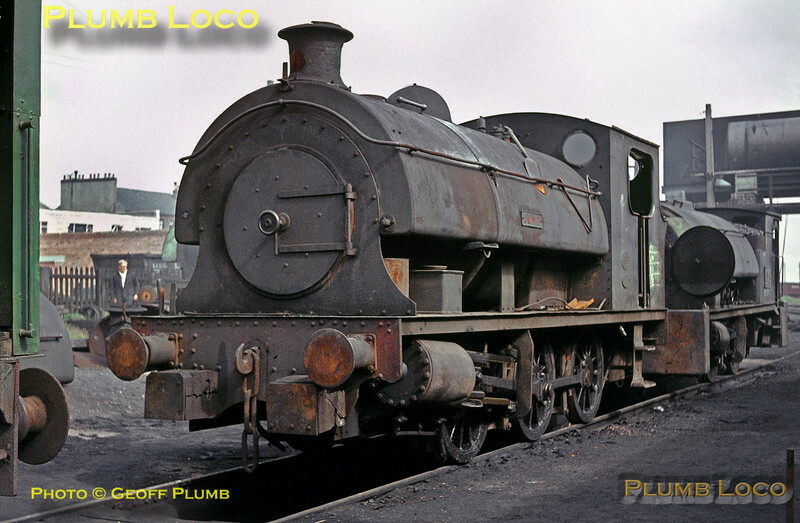 Seaham Harbour Dock Co. Ltd. 0-6-0ST (OC) "Juno" (Hawthorn Leslie No. 3527 of 1922) on shed at Seaham Harbour. Having spent all its life at Seaham, "Juno" was scrapped in January 1967. Behind is ex-Dorman Long's 0-4-0ST (OC) No. 173 (Hawthorn Leslie No. 3919 of 1937) and various pieces of other engines are scattered about the yard! Monday 2nd August 1965. Slide No. 1518.